ProChain Press | Books Published by ProChain Solutions Inc.
ProChain Press is the award-winning publishing arm of ProChain Solutions, Inc. We are committed to publishing practical, high-quality books that enable breakthrough improvements in personal and organizational productivity. 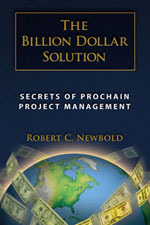 For further information please contact publishing@www.prochain.com. 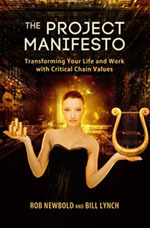 The Project Manifesto is an entertaining, insightful novel that presents four simple values that can transform your business and your life. It’s about managing projects, but it isn’t just for project management professionals. If you have ever wanted to get more done—at home or at work, on your own or with others—you can benefit from this book. Through clear, concise descriptions of needed tools and measurements along with frequent real-world examples, this book shows how your company can dramatically improve the management of projects and resources. You’ll discover how you can elevate reliability, speed, and productivity in order to have a dramatic impact on your bottom line. 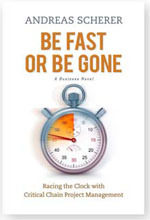 The prize-winning Be Fast or Be Gone chronicles Mike Knight’s struggles to help a pharmaceuticals company bring a life-saving medication to market in time to save his son.